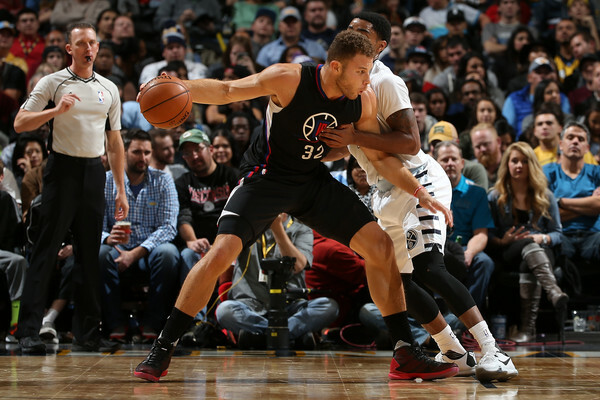 Blake Griffin’s future with the Los Angeles Clippers may not be up in the air after all. Sources close to Griffin have been adamant that he is planning to re-sign in L.A. and that he’s not open to going anywhere. Clippers president and head coach Doc Rivers has mirrored that, saying he believes Griffin retires as a Clipper. It’s so tough to get a read on these things this early. Griffin has more than 10 months before he can become a free agent, at which point he’ll be able to listen to pitches from other teams. There is no telling where his head will be at almost one year from now. Part of his future is probably also tethered to how the Clippers finish next season. Were they able to keep pace with the Golden State Warriors and San Antonio Spurs in the Western Conference? Did the core stay healthy? Did they make a deep playoff push? Are they still considered legitimate title contenders? On top of all that, there’s Chris Paul’s impending free agency to consider. If he exercises his early termination option and leaves, does that make Griffin’s return less likely? More likely? There are a lot of variables here, and a lot of time for them to evolve. Which means that the rumor mill will evolve right along with them. Thing is, unless the Clippers are so sure Griffin is on his way out that they decide to move him by the trade deadline, we won’t be getting any concrete answers for almost another year.